As cattle producers work to improve health and performance while minimizing the need for antibiotics, a growing body of research indicates that supplements influencing microflora in the gastrointestinal (GI) tract can improve gut health and overall immunity. In a recent webinar, Shelby Roberts, PhD, a post-doctoral fellow with Alltech, outlined ongoing research and application of gut-health management in beef cattle. In calves, Roberts says, about 13% of death loss occurs during the first 24 hours after birth, while about 28% of deaths occur from one to 21 days and 14% after 21 days. Scours account for about 61% of calf mortality, followed by pneumonia at 25% and other causes at 14%. The immune system, Roberts notes, includes innate and adaptive immunity. 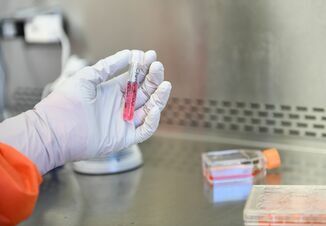 Innate immunity is the body’s first defense against infection, involving leukocytes or white blood cells, including macrophages and lymphocytes. 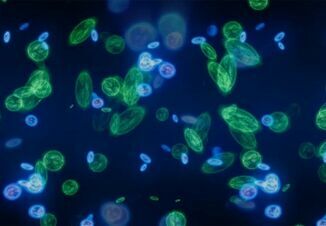 Innate immunity provides an immediate response to infection, but is not specific to individual pathogens. The adaptive immune system relies on antibodies such as immunoglobulins. Those antibodies are pathogen-specific, but have a delayed response to a new pathogen. Immunoglobulins, Roberts says, cannot cross the placental barrier, so colostrum provides the calf with its first source of antibodies along with fats, proteins, minerals and anti-inflammatory agents that benefit immunity. Ideally, newborn nursing calves receive the same antibodies present in the dam, and those antibodies help protect the calf while its active immune system develops. The bovine GI tract contains the body’s highest concentration of immune cells, with additional support from beneficial microbes such as Lactobacillus species. Those beneficial bacteria help prevent pathogens such as E. coli, Salmonella and others involved in calf scours from attaching to the gut wall and causing inflammation. When the immune system and beneficial microbes work together, pathogens are held at bay and the animal utilizes more energy for growth. Antibiotic use disrupts that balance, damaging beneficial bacteria and leaving the immune system as the last line of defense. Roberts described how mannan-oligosaccharide, a component extracted from the cell walls of Saccharomyces cerevisiae yeast, bids to receptors on pathogen cells, blocks their colonization, encourages beneficial microbes and enhances production of immunoglobulin antibodies. Alltech’s feed additive BIO-MOS provides that protection she says, with MOS standing for mannan-oligosaccharide. She outlined several trials to illustrate the effects. In a University of Kentucky trial involving 20 beef cows, researchers included BIO-MOS in the rations of 10 cows beginning three weeks before calving, while the others received the same diet but without BIO-MOS. They vaccinated all the cows against rotavirus four weeks before calving with a booster in another two weeks. Tests showed significantly higher levels of immunoglobulins G and M (IgG and IgM) in colostrum from treated cows and serum samples from their calves. They also found higher antibody titers for the rotavirus vaccine in colostrum and calves from the treated cows. Roberts also described a demonstration trial in a commercial cow herd in Montana. Over the previous five years, the 160-head herd had experienced 30% morbidity and 3.5% mortality among calves. 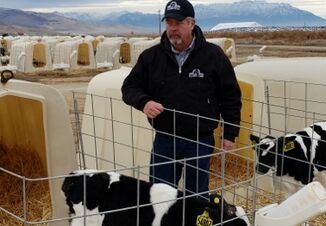 For the trial, the ranch began feeding BIO-MOS at a rate of 10 grams per head per day five days before cows began calving and continued offering it in a mineral supplement through post-calving. In this trial, calf morbidity dropped from 30% to 15% and death loss dropped from 3.5% to 0. In cow-calf operations, Roberts recommends feeding the product beginning two months prior to calving and continuing until the youngest calf reaches 45 days of age. Daily gains for treated calves averaged 2.07 pounds compared with 1.54 pounds for control calves. Mortality rate was .44% in treated calves versus 2.66% in controls. Treatment rate was 18% in treated calves versus 49.4% in controls. 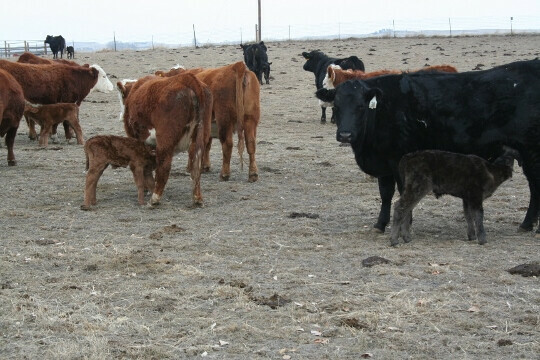 For the weaning and receiving period, Roberts suggests feeding the product in a transition mineral mix beginning two to three weeks prior to weaning and continuing for 14 to 42 days after shipping. The Alltech webinar on gut-health management is available for viewing online.